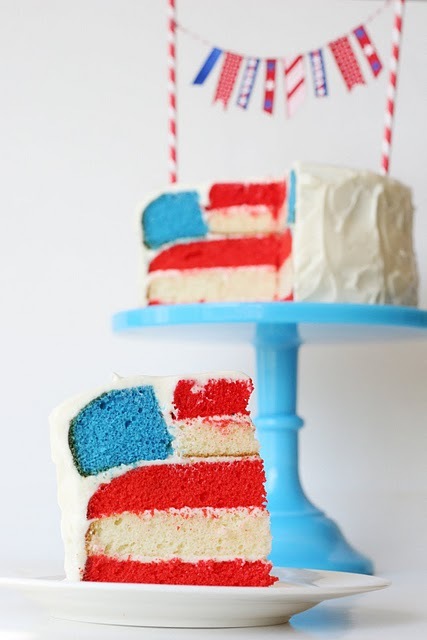 Simple vanilla cake with with a flag inside from Glorious Treats. Find the recipe here. I love the cake bunting she made using paper straws and twine.